ARMOUR Residential REIT (NYSE:ARR) has just reported earnings and it was another mixed report. In this column we discuss ARMOUR Residential REIT dividend coverage. We have had a tumultuous relationship with this company and the stock. We were previously of the opinion that this company and the stock were a complete mess. Then in 2017, we predicted the dividend as being covered all year and called for a buy. In this column we assess this call. This name has disappointed before and so we were eagerly awaiting this report. We will look to see whether book value has stabilized, whether interest rates are pressuring prepayments and the spread, and dividend coverage? As it stands now, we remain cautious on the name, but still recommending owning the stock. We are pleased with the coverage we are seeing. 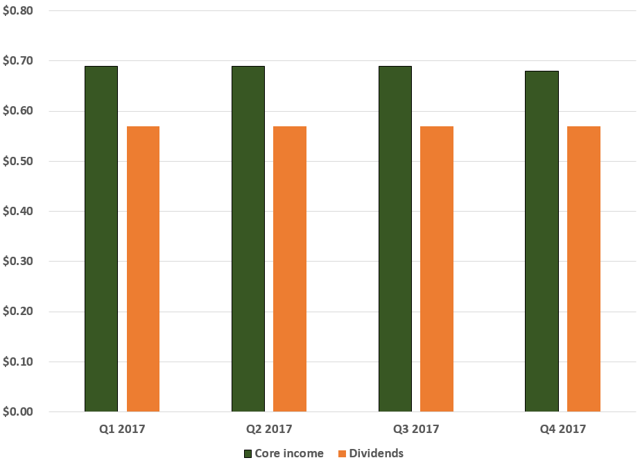 While the dividend safety was long an issue when we were bearish, the company has seemingly handled the issue here and gotten its portfolio structured in a way that protects income. While not a measure that is as important for mREITs as core income, the company actually saw another quarter of positive GAAP net income, coming in at $71 million or $1.60 per share. The key here though is that the company’s core (plus drop) income covered the dividends paid in the quarter.